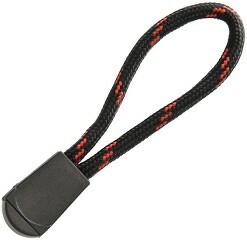 Live Fire Gear FireCord Zipper Pull Thin Red Line - Five pack. 3" overall. 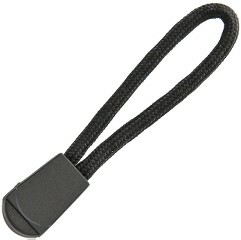 Ideal for attachment to jackets, backpacks, or other zippered items. 550 nylon paracord has a unique 8th inner strand with fire tinder. When you need the fire tinder, remove the inner strands, light just like any fire tinder and build your fire. After the inner strands are used, the outer shell can be reused.